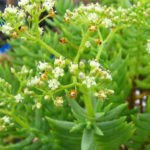 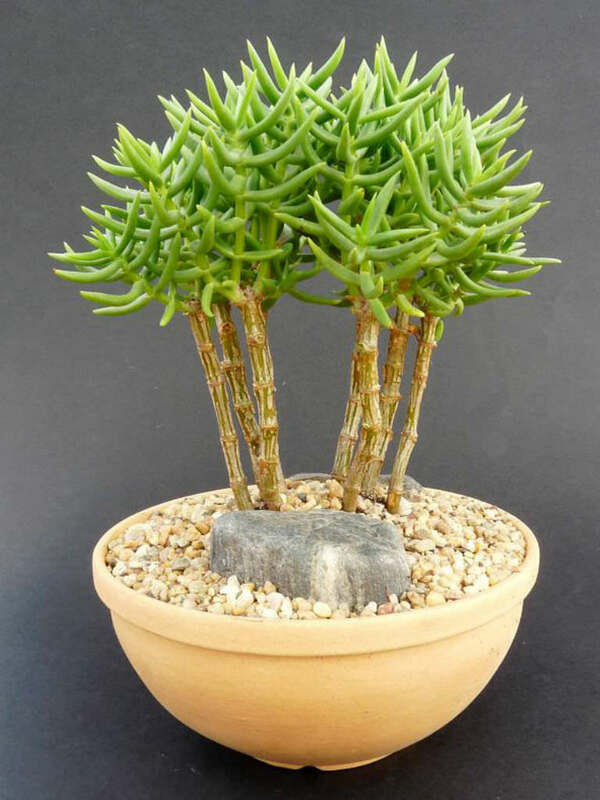 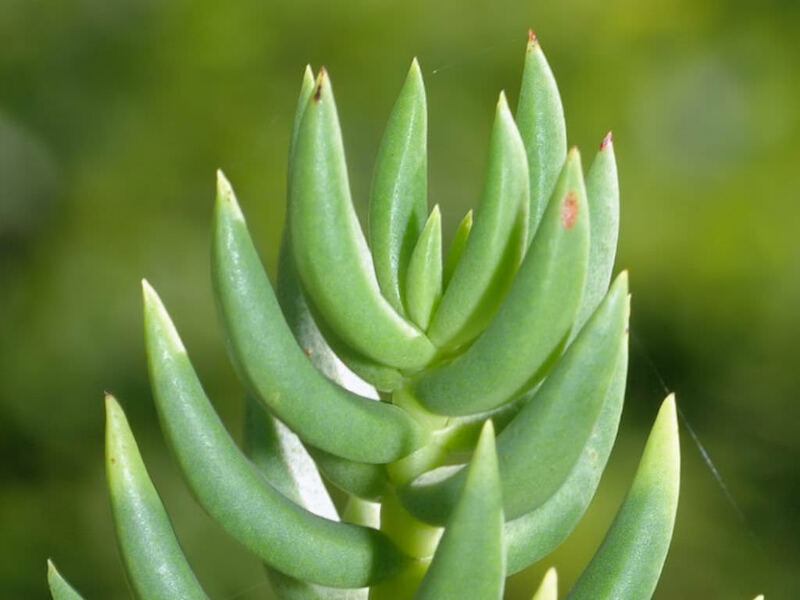 Crassula tetragona is an evergreen succulent plant up to 3.3 feet (1 m) tall. 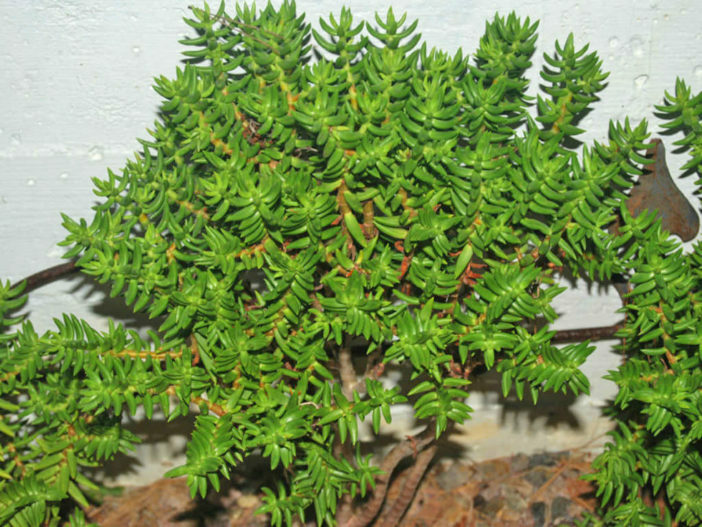 The narrow, almost needle-like foliage and sparsely branched, shrubby, tree-like habit of this South African native have caused it to be misleadingly dubbed “miniature pine”. 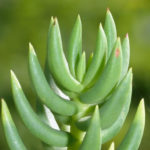 The apple-green, awl-shaped leaves occur in well-spaced pairs along fleshy upright stems that can reach waist height. 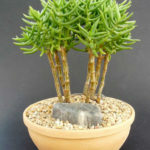 Stem is woody with brown bark. 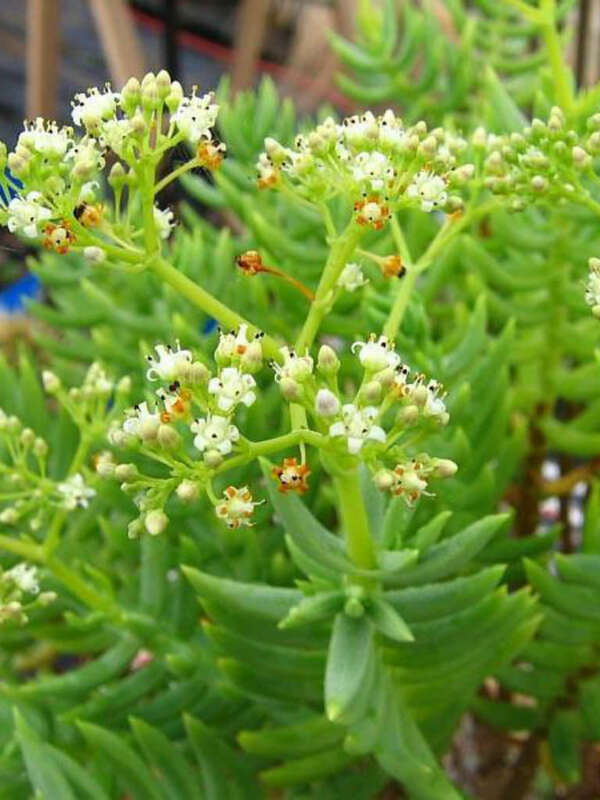 Dense clusters of small creamy-white flowers appear at the branch tips in spring and summer.